Living in Somerset makes one acutely aware of not only how extensive the flooding in the county is, particularly around the Somerset Levels, but also of the extraordinary duration of the flooding. It was on Christmas Eve 2013 that the area experienced exceptionally heavy rainfall when the flooding commenced and now, six weeks later little has changed in this aquatic landscape, leaving one with a literal sinking feeling the Somerset Levels are becoming tiny semi-permanent atolls of habitation. It is little wonder that Alfred the Great chose this area as a safe and impenetrable retreat to initial flee from and then fight the Viking invaders. At long last following tremendous pressure from the triple verbal onslaught of local Members of Parliament, farmers and residents, the Government has agreed that finally local rivers will be dredged to alleviate future flooding, the very point that locals have been campaigning to achieve for years. The problem is that dredging operations cannot take place until the riverbanks are dry and firm enough to safely support the weight of dredging equipment. With a seemingly constant bombardment of storms rolling off the Atlantic Ocean, one cannot help but wonder if that may be some time away and will the Levels remain under water for months to come? 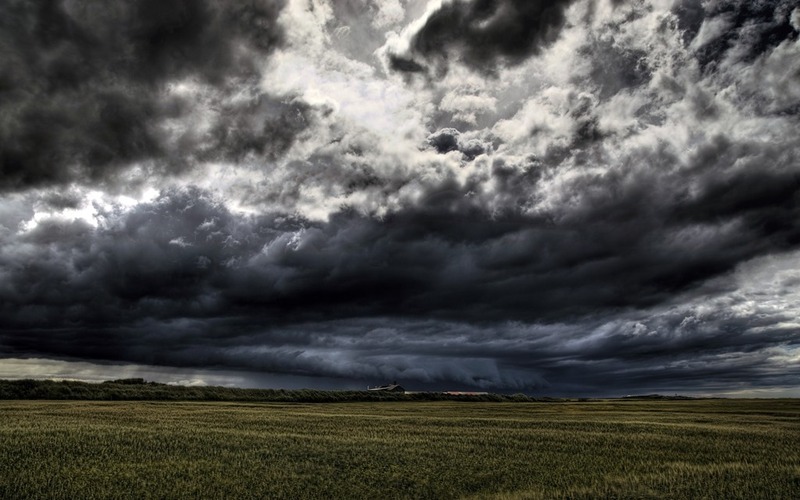 The prolonged flooding and storms triggered a distant historical memory of a natural disaster now known as the Great Storm of 1703 which befell the UK. The storm produced a exceptionally low atmospheric centre with observers noting readings of only 973 millibars but it is thought that atmospheric pressure may have fallen as low as 950 millibars over the centre of the country. Thanks the inspiration of the author Daniel Defoe, he advertised nationally for people to write to him with their personal accounts of the storm. It was the first time such a national reckoning of a disaster event and it’s aftermath had been accurately recorded. The thousands of letters he received led Defoe to write his renown book “The Storm”. It was calculated that between 8,000 and 15,000 lives were lost overall. The West Country of England was badly effected particularly around Bristol. Hundreds of people died on the Somerset Levels, the very area which is flooded today, along with thousands of sheep and cattle. The ferocity of the storm was so great that one ship was found 15 miles inland. Across the country storm damage was extensive with over 2,000 massive chimney stacks blown down and over 400 windmills destroyed. Many vessels were lost at sea. Clearly natural disasters are nothing new, some like volcanic eruptions or earthquakes are difficult to take advance preventative measures against, but effective advance planning can help reduce the loss of life, damage to property, livelihoods and transport.. One hopes that the preventative measures promised for the Somerset Levels are not a one-off operation but part of a sustained effort for the future. Perhaps Somerset’s global mini-disaster will prove to be something of a wake-up call that maintenance in all its forms is something that cannot be neglected in the future.